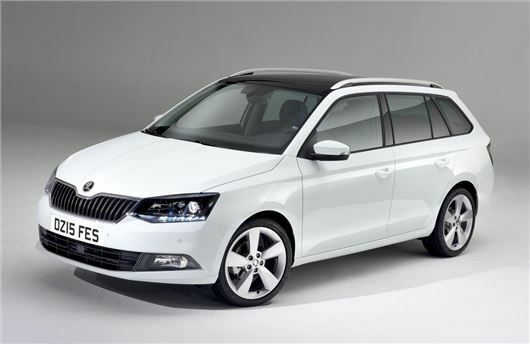 Skoda has announced that the estate variant of its all-new Fabia will cost from £12,460 when it arrives in showrooms in spring 2015. That price will buy you the S trim level, which comes with six airbags, DAB radio, Bluetooth and electric windows. If you want air conditioning you’ll have to go for the SE grade, priced from £13,905. SE trim also gains a better audio system, alloy wheels, USB connection and a leather steering wheel. The range is topped by Elegance trim, which gets 16-inch alloy wheels, climate control, automatic lights, cruise control and keyless entry. The Fabia Estate is offered with a choice of 1.0-litre and 1.2-litre petrol engines with between 75PS and 110PS, along with a 1.4-litre TDI diesel with either 90PS or 105PS. The load area of the Fabia Estate promises to be among the best available in a small estate car, with a volume of 530 litres. This can be expanded to 1395 litres by folding the seats forward – slightly behind the Dacia Logan MCV's 1518 litre maximum.